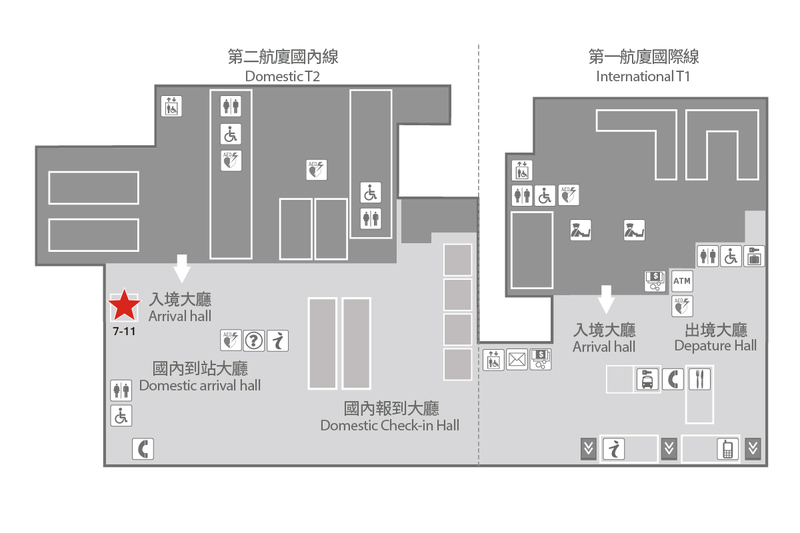 Walk along Shongshan Airport Metro Station Exit 2 until Domestic Terminal 2 Gate 20 and turn left. You will see the 7-11 in front of you. 1. If you are at Domestic Terminal 2, walk towards the greeting area, the store is next to the exit. 2. If you are at International Terminal 1, walk towards Domestic Terminal 2 greeting area, the store is at the end of the passage. 송산공항역 2번출구로 나오셔서 앞으로 직진 후 국내선 2터미널 20번 문에서 왼쪽으로 도시면, 7-11편의점을 바로 보실 수 있습니다. 1. 제2터미널 국내선에 계시면, 로비방향으로 가시면 출구 옆에있는 편의점을 바로 보실 수 있습니다. 2. 제 1터미널 국제선에 계시면, 국내선 2터미널 로비방향으로 가시면, 복도끝에있는 편의점을 보실 수 있습니다. ※ 이곳은 iVideo 송산대리점이 아닙니다.